If Silicon Valley billionaire Tim Draper gets his way, San Luis Obispo County will join Los Angeles in a coastal cluster of six counties that will make up the new state of California. On Tuesday, the California Secretary of State’s Office announced that Draper’s initiative received the needed number of signatures to go on the ballot. 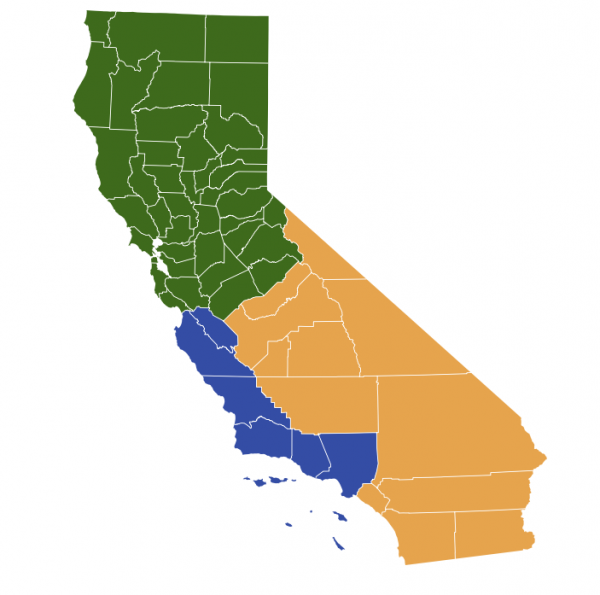 Now Californians are set to vote on the “Division of California into Three States” initiative in November. Draper’s initiative calls for the division of California into the new states of “California,” “Northern California” and “Southern California.” Even if the measure does pass, it will require congressional approval to break up the existing state of California. As outlined in the initiative, the new state of California would consist of Los Angeles, Ventura, Santa Barbara, San Luis Obispo, Monterey and San Benito counties. The state of Northern California would contain 40 counties, including those in the Sacramento and Bay areas. Southern California would consist of 12 counties, including San Diego and Orange counties, the Inland Empire and much of the Central Valley. In a letter explaining the initiative Draper stated California has become nearly ungovernable and numerous regions of the state are inadequately represented in Sacramento. If the ballot measure were to pass and Congress were to approve of splitting up California, the state’s assets and liabilities would be divided among the three states. The new states would then make their own decisions about taxes and spending. Draper previously pushed an initiative aiming to split California into six states. The initiative did not qualify for the ballot. ← Previous Previous post: Is it fire season again on the Central Coast? The Supreme Court of the United States has declared that the Constitution of the United States ” in all its provisions, looks to an indestructible Union, composed of indestructible States.” An initiative petition which seeks, by statute, to transform the State of California, and the California Constitution, out of existence, so as to be replaced by three new states and three new constitutions, is not only unconstitutional, but is also an act of insurrection against the constitutional government of California.